“Holi” is a colorful festival celebrates all over India. 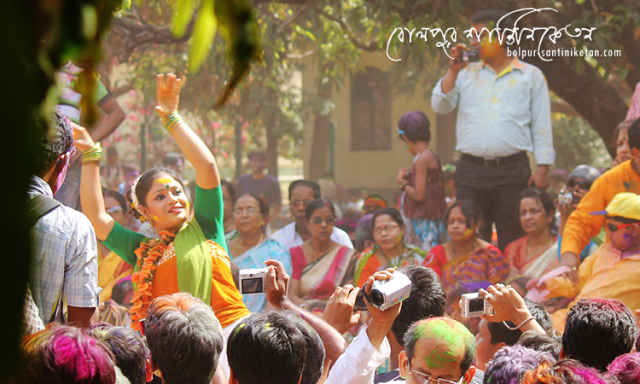 It’s a delightful festive for all Indians. But especially when we talked about holi at Bolpur Santiniketan, its called “Dol Utsav” or “Basanta Utsav”. 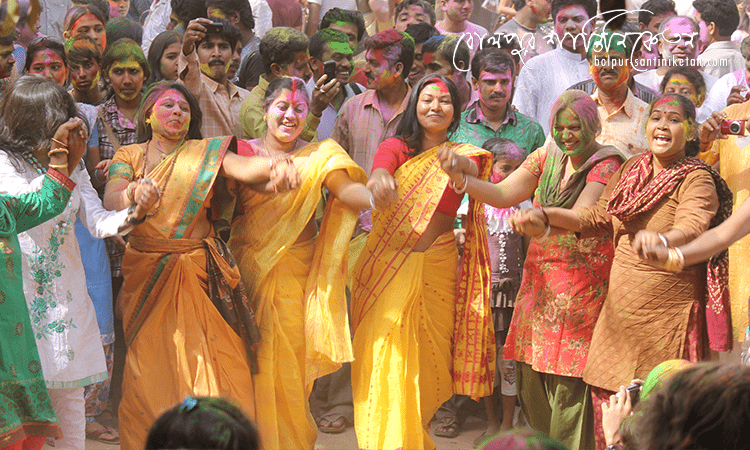 When Spring comes with its own beauty and winter season just end we celebrate our delightful color festival. During this season nature shows its own beauty with colorful flowers of Palash, Shimul etc. 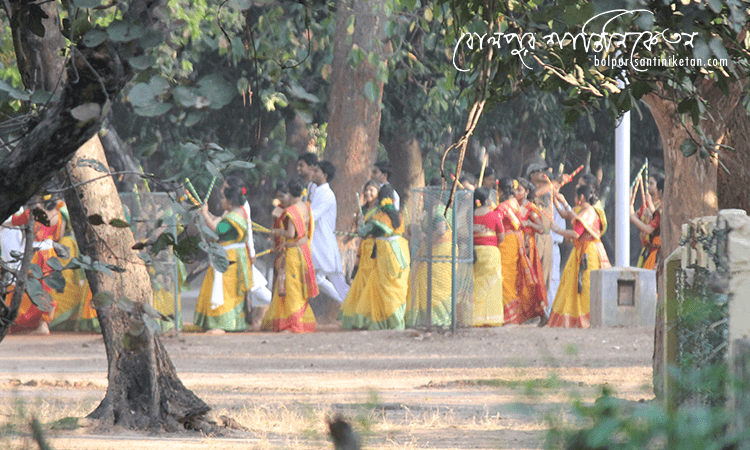 Gurudev “Rabindranath Tagore” has “Dol Utsav” in his institution with colorful cultural programmes. In Santiniketan, with the inspiration of our Gurudev “Rabindranath Tagore”, the students of Viswa Bharati University celebrates this festival in a different way. To feel you a romantic, pleasant and very special. Today “Basanta Utsav” at Santiniketan is not only Viswa Bharati’s university programme or nor local programme. This “Rabindrik Basanta Utsav” is a universal festival with its own dignity. 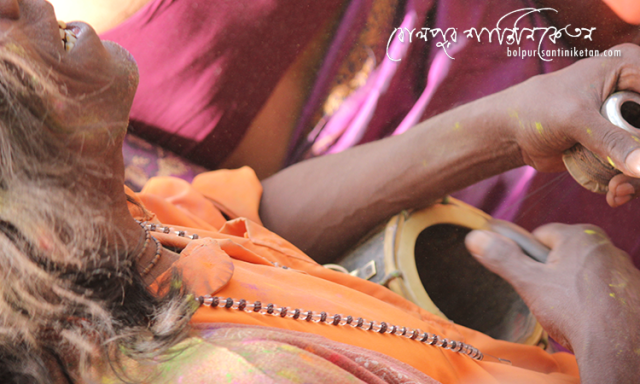 The people from all over the universe were come to see and enjoy the this festive at Santiniketan. The university students are trying to make the programme more beautiful. 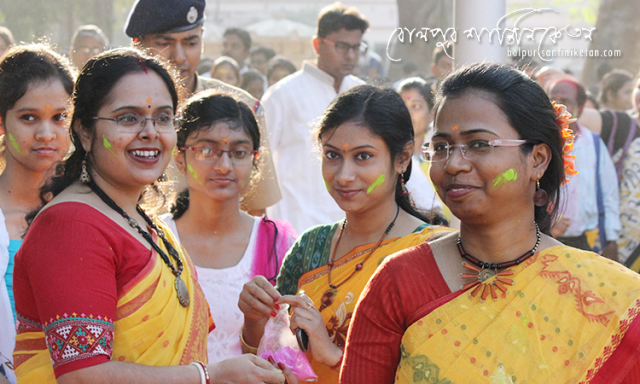 Lots of students are participating in this programme to make it more delightful. 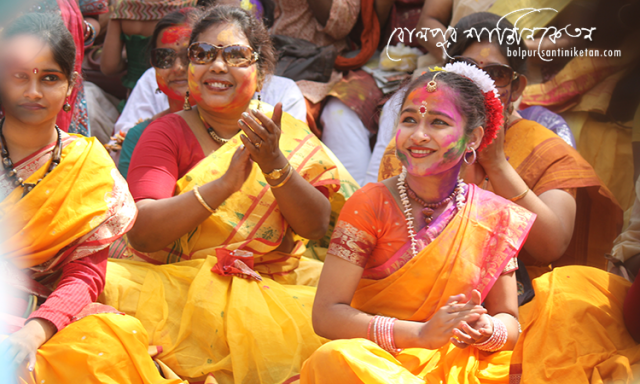 The programme starts from the morning with several Bengali “Rabindra Sangeet” and ends with spreading colored powders (we called it ‘Abir’) and express festive wishes. After the university programme ends, there are several programmes start on the university campus. 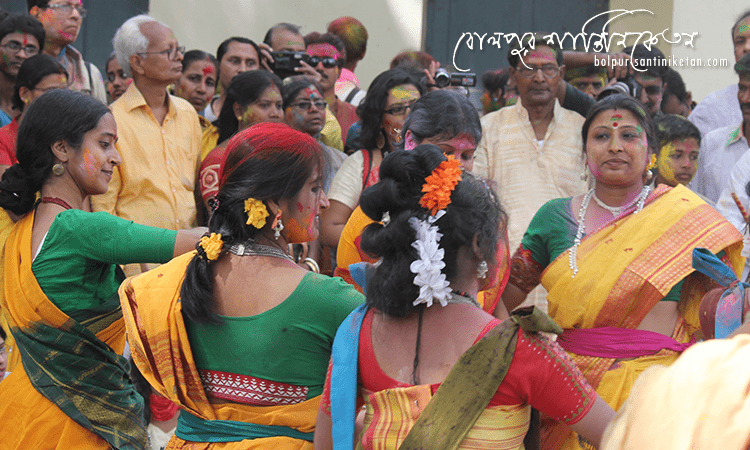 That programmes are not organized by the Viswa Bharati University. 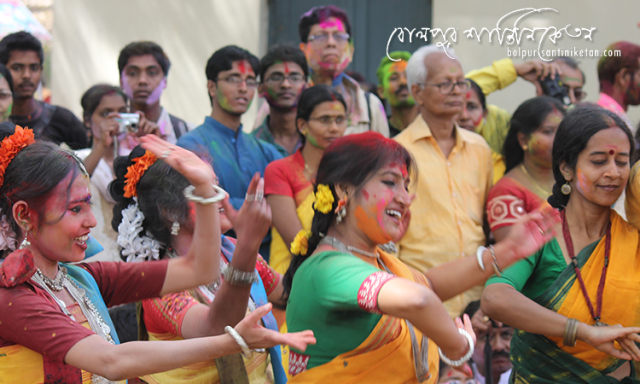 Some of the programmes arranged by the university departmental dividing in the multiple groups (unofficially) to celebrate with Rabindra Sangeet and Dance. 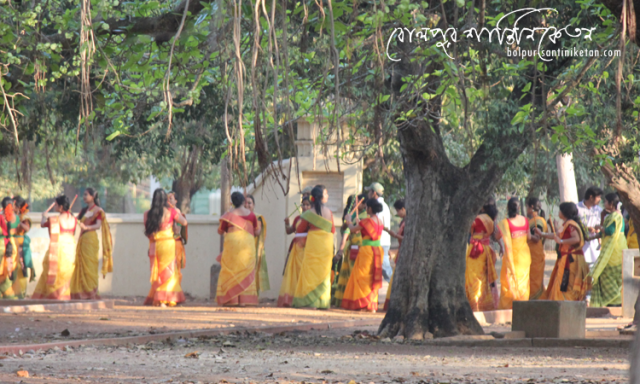 They started programme under a tree, or “Amra Kunja”, in front of the hostels, Sangeet Bhavan, Kala Bhavana, University playground you can say everywhere on the campus. 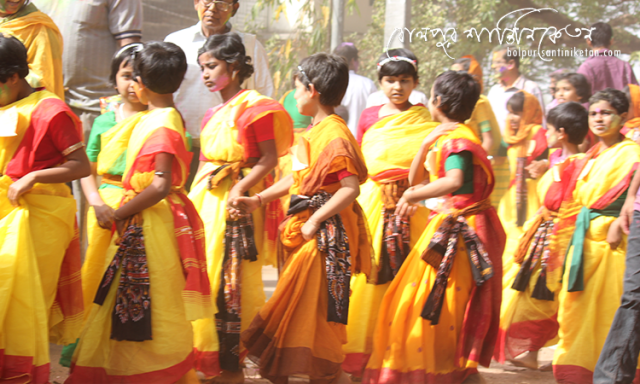 The visitors are enjoyed joining any of the group and they can also sing dance and enjoy without any hesitation. 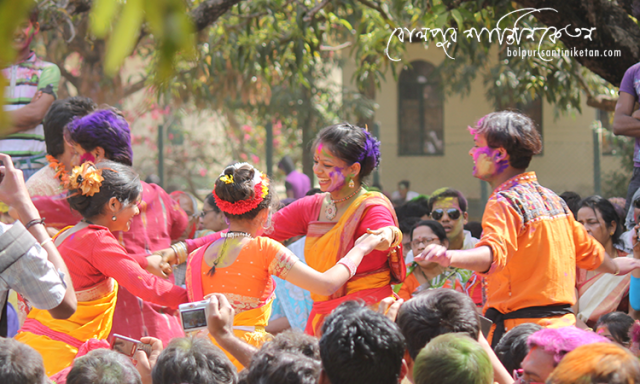 Some of the groups, who are not associated with the university they also arranged chorus songs, dance to enjoy the festive mood. 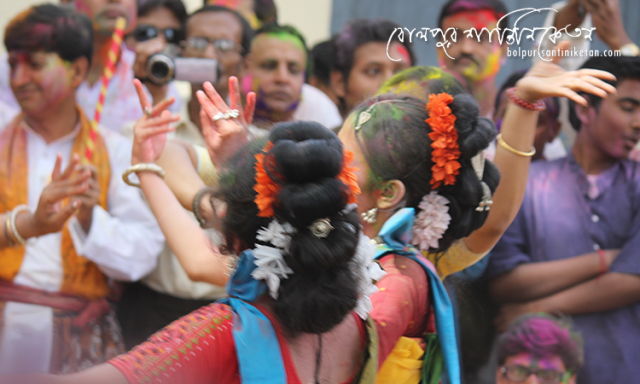 If you are shy to sing or dance … I can say that you will forget everything and definitely participate in the rhythms. Some of the people are dancing with Baul songs. Some of the bauls are also singing and play their songs. If you still thought that want to visit Santiniketan than please don’t think more. Come once, your step will be automatically repeated every year. 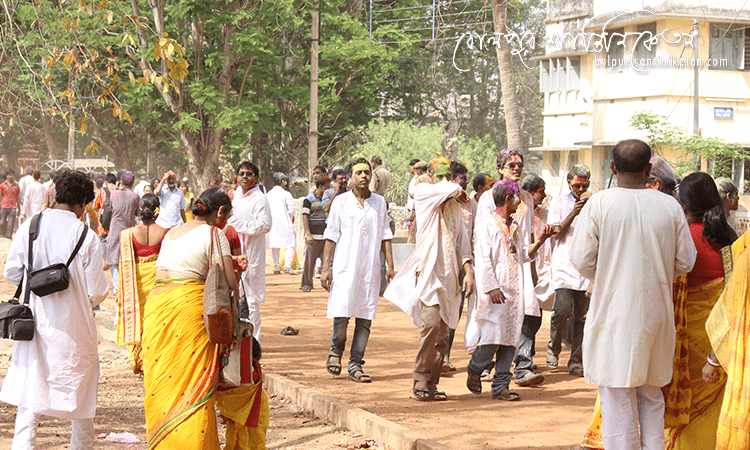 Thanks to the university guys, students, local administration who arrange the programme peacefully for all of us. 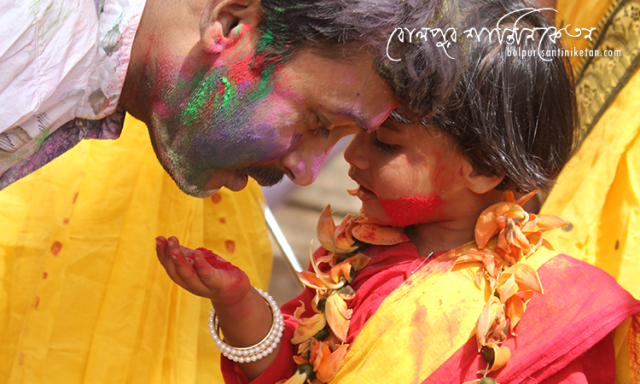 The environment, festive cultural programme are really attracted you to come to join this programme every year. The date of Basanta Utsav varies each year. Generally falls in the month of March. 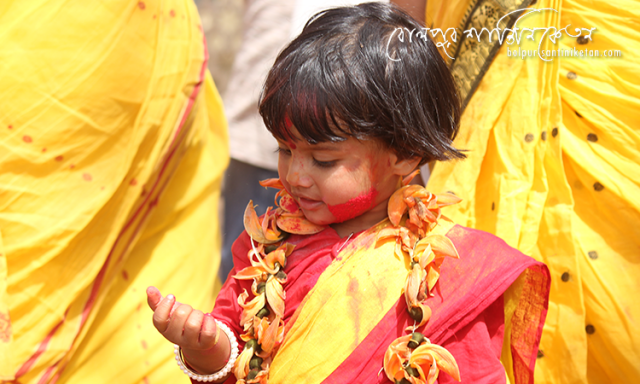 Winter just played his role and Spring just arrived, then celebrate this festive. The date of the coming year 2018 is 1st March (As per Bengali calender 16th Falgun, 1424). 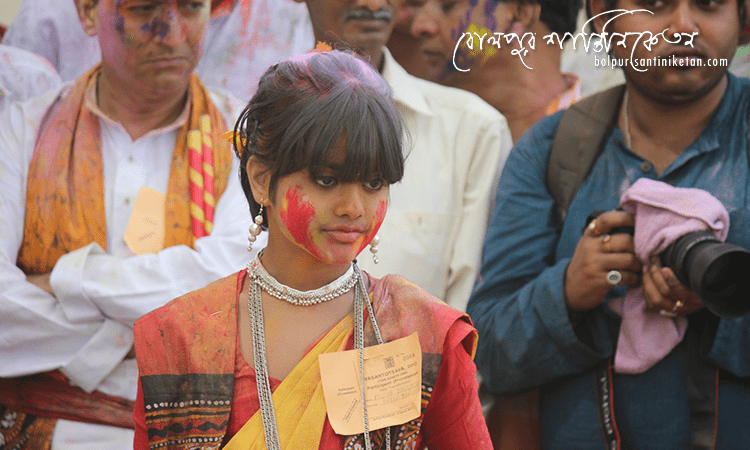 Please make your plan ready for coming year whos still not enjoyed at “Basanta Utsav” or “Holi Utsav” at Bolpur Santiniketan.